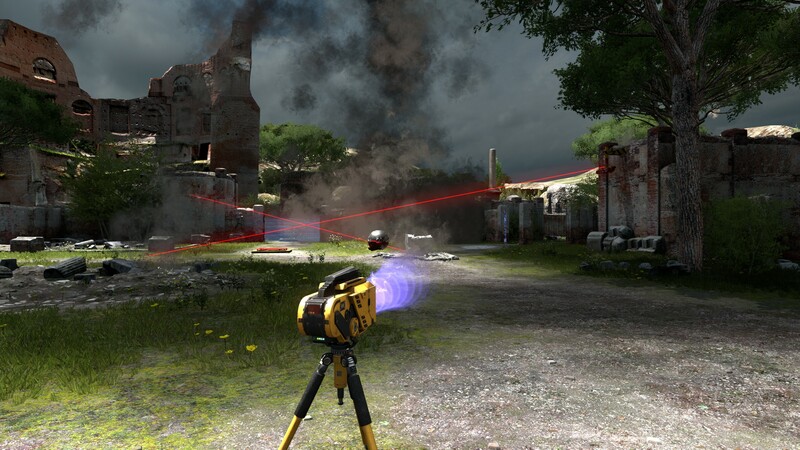 The Talos Principle, released two years ago today, is touted as a philosophical puzzle game, and it was developed by Croteam. Wait, Croteam? The same people who created Serious Sam? You can’t be serious! 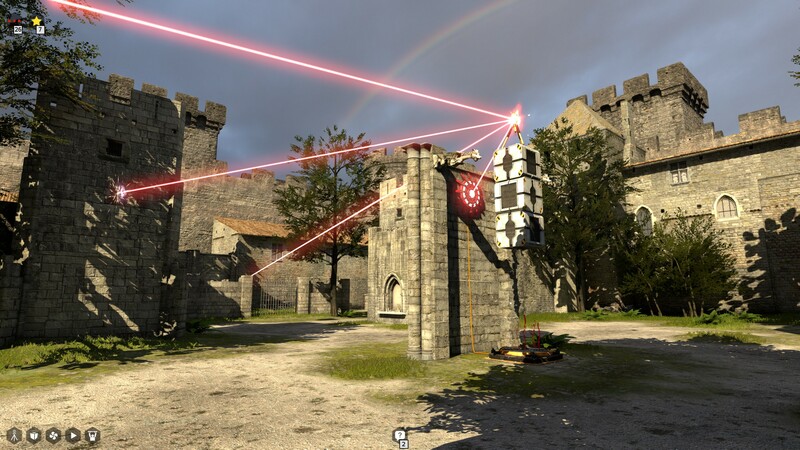 Not that Serious Sam isn’t good, but it’s quite the opposite of The Talos Principle; an arcade FPS with co-op emphasis, while The Talos Principle is a story-driven single-player only experience. You can’t underestimate anyone, I suppose. 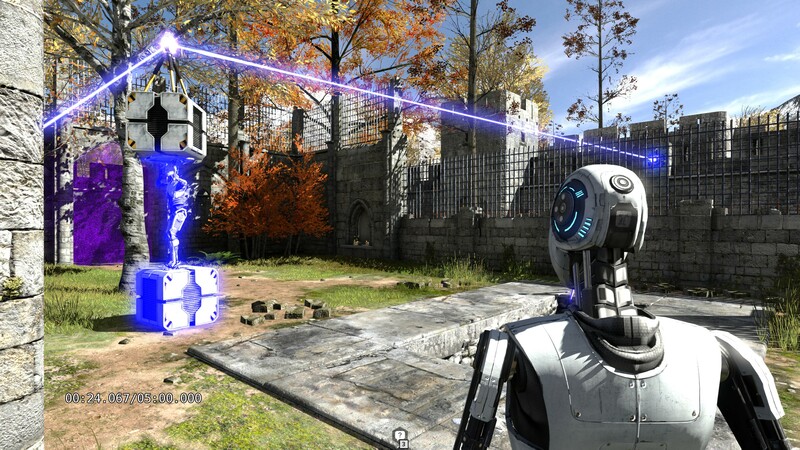 As of 2016, The Talos Principle is available on Steam, PlayStation 4, and Android. 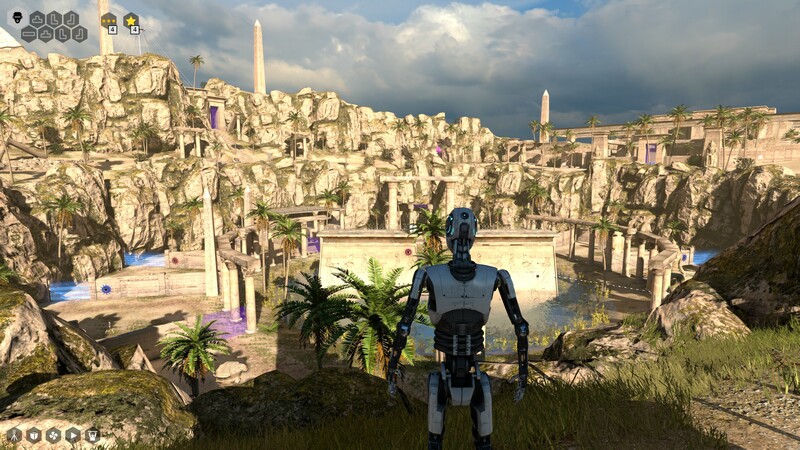 In this belated review we will look at not only The Talos Principle, but its story DLC Road to Gehenna. ELOHIM watches your progress closely, encourages faith and your success. He talks about the world you are in, how it was made for you and how it contains secrets, how there have been others before you, how before this world there was chaos but in here there is purpose. But he/it isn’t the only one you make contact with. On some of these computers you may contact the Milton Library Assistant, hereby referred to as Milton. It is an AI designed to sort and categorize information, and respond to conflicting information. But it seems it was made too sentient if there is such a thing, as it has seemingly developed a personality. A manipulative and nihilistic one. 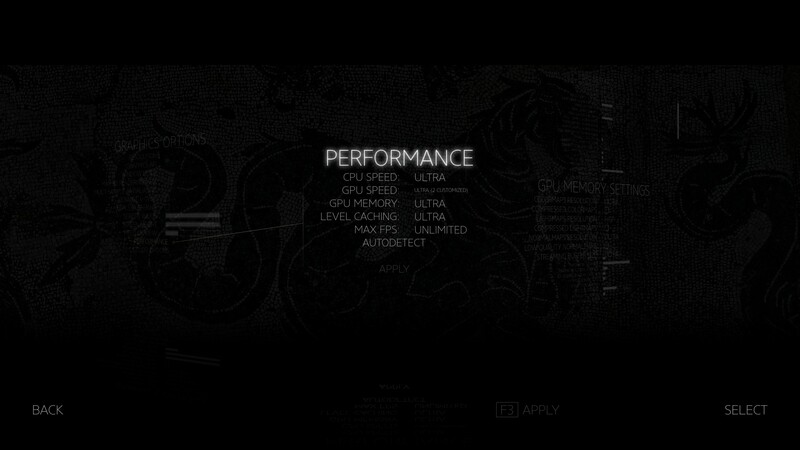 When a computer displays this, it means “Milton” has something to say. Some may wonder why so little information is on these computers, if their purpose (as is revealed later on) is to preserve human history. Milton, your library is lacking, to say the least. ELOHIM, which means God in Hebrew, acts almost as a father figure to you and seems benevolent, while Milton seems manipulative. Milton questions you, gauges certain responses only to point out logical fallacies and conflicts in them, tries to make you doubt ELOHIM in this place. Communication with ELOHIM is one way (him speaking to you) while communication with Milton is two way, with selected dialogue responses within the computer interface. ELOHIM warns you about Milton, and more importantly against exploring the tower in the main hub which seems to reach into the clouds. Do not let it tempt you, he says, which probably tempts you further. Milton occasionally suggests exploring it, albeit he doesn’t push too hard for this since he doesn’t seem to care about anything either way. The conflict between these two characters leads to an inevitable choice; do you do as ELOHIM says and simply solve all main puzzles and then supposedly achieve eternal life? Or do you ascend the tower against ELOHIM’s will? Or do you find more secrets and unlock the more discreet third ending? 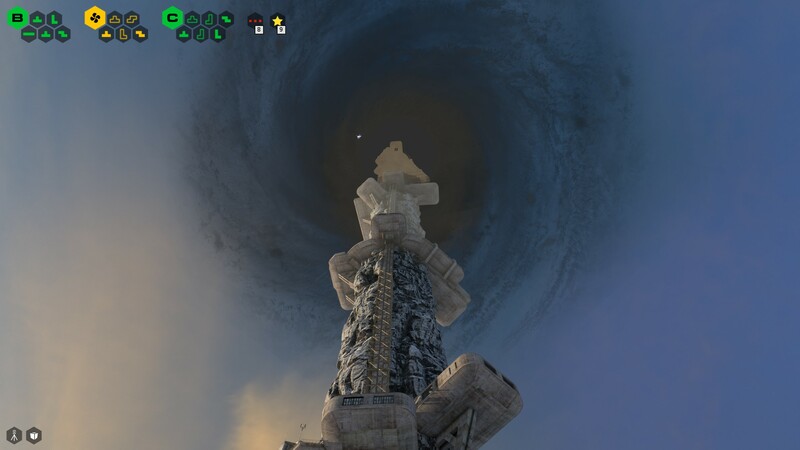 The sequence that follows ascending to the top of the tower is one of the most memorable moments in video game history. When you consider the gravity of your actions here from the perspective of the protagonist, it is truly amazing. The score here is also incredible. 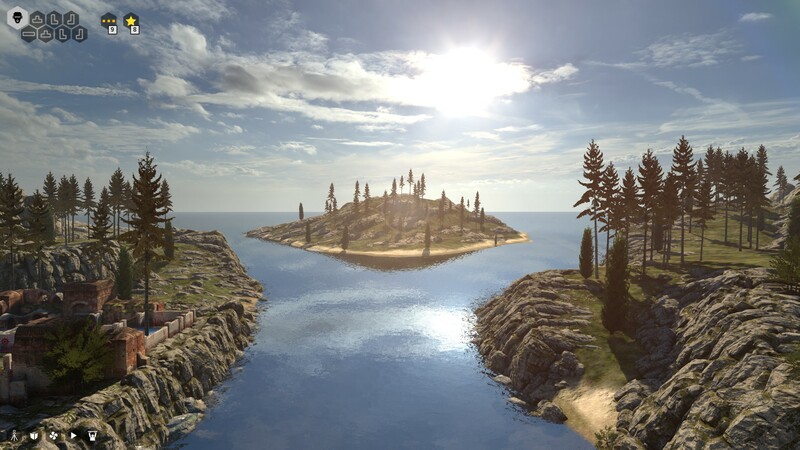 Storytelling is also done through time capsules; large, almost holographic images (which are different each time) found around many of the worlds you will explore. Each of these contains a narrated recording/monologue of someone named Alexandra Drennan, head of the Extended Life (EL) project also referred to as Talos and occasionally Soma. This project was a major undertaking by the Institute of Applied Noematics, also known as IAN. Alexandra speaks about progress on the project and brings up morally ambiguous questions which, combined with much of what is read on the computers, become major themes within the story. 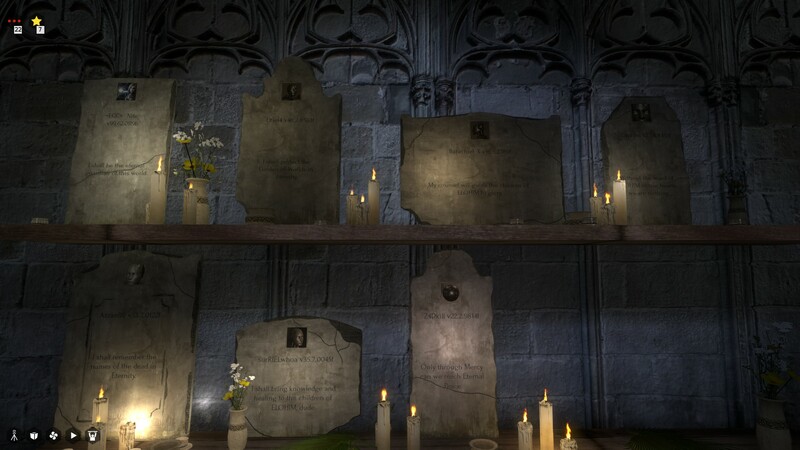 What’s continuously revealed by these time capsules and the entirety of the game’s story is both sad and beautiful, two feelings strongly present throughout the entire game. 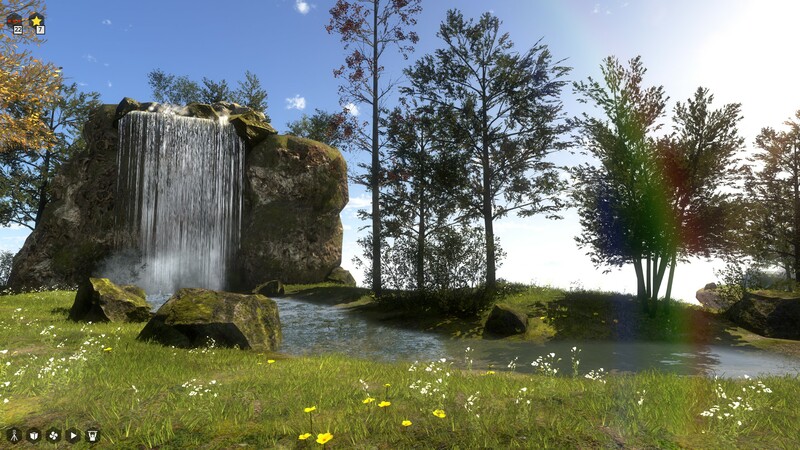 The Talos Principle is a very moving experience. These time capsules along with the notes and such written by other IAN members found on the computers make the basic plot clear cut. The nature of your existence, ELOHIM, Milton, and the world the game takes place in is strange and questionable at first, but answered quite directly by these narrated monologues and texts. What is not clear cut are the philosophical questions asked by the game. These questions revolve around various topics such as consciousness, artificial intelligence, immortality and mortality of man, religion, speciesism, and various societal, existential, and even some nihilistic questions and perspectives. 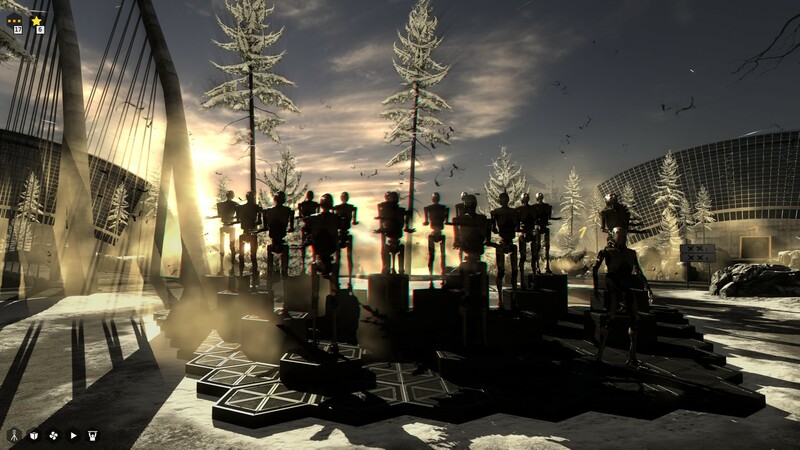 Very few games attempt to tackle as many themes as The Talos Principle, and even fewer handle them as well. Some of the morally ambiguous questions are presented in somewhat contrived fashion early on, but they are successfully expanded on and reinforced. I would say that all of these time capsules, documents, lines from ELOHIM, and conversations with Milton are well written. Many are extremely thought-provoking, others are funny, others are sad. They all serve their purpose to gradually introduce new concepts and themes to the story, and presenting them in a unique way (although as previously stated some of the initial thematic presentation isn’t as unique). 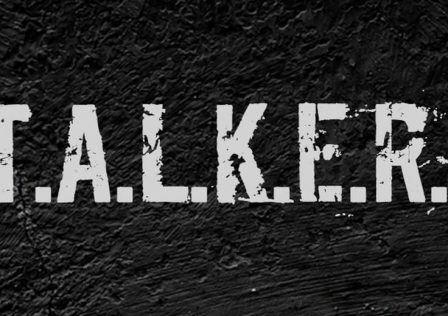 Obviously a core concept of this game is the Talos Principle itself, a philosophical concept that conveys the idea that we can’t escape or avoid reality. If a person loses enough blood, they die, quite like a machine. This principle is tied into other themes from the story to raise existential and even nihilistic questions, and much more. There are many layers to this story, more than almost every other game, and they are gradually revealed with perfect pacing. This along with the gradual increase in puzzle complexity keeps the game interesting for its 25 or more hours, even though much of the main plot (the nature of your existence and the world you’re in) is made clear long before you finish all of the main puzzles. All of the themes come together to form one complete and coherent philosophical story with troubling moral implications, and does not attempt to assert answers for many of them. 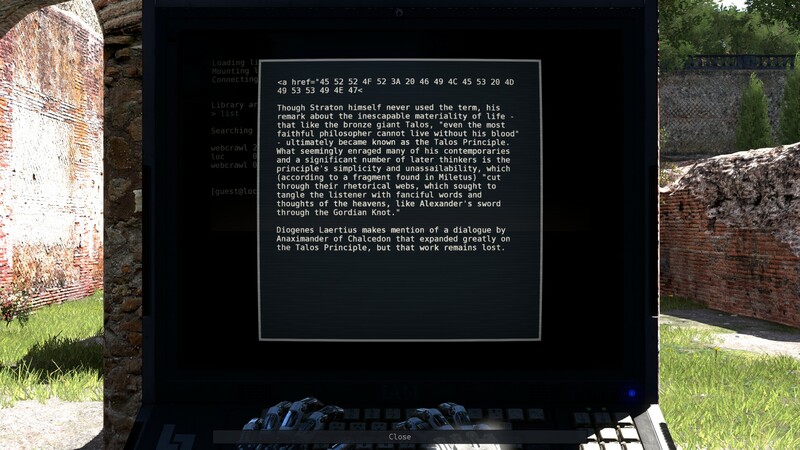 Considering the fact that you play as a robot, and how this plays into one of the game’s endings, it can be seen as trying to answer the question of whether or not consciousness can be found in artificial intelligence, but I have no issues with this. This story, one of the most layered and thus complex in video game history, is told in a way unique to video gaming. 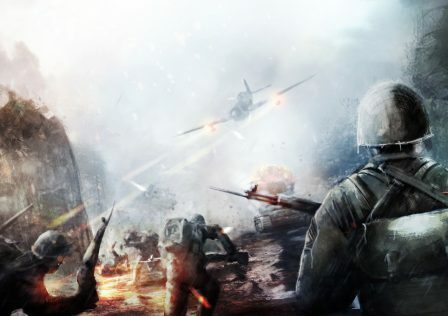 The gameplay, its appearance and the logic behind it, is all wonderfully a part of its story. The very reason as to why the gameplay involves puzzle solving and Tetris pieces is incorporated into its story. Flaws or seemingly synthetic limitations that can be brought up are addressed by its plot, although some may find this cheap at times. We can’t discuss this further without spoiling the game too much. Croteam found a way to try and cover all their bases, a hard thing to do properly and most games are too lazy to even attempt this. Road to Gehenna, the expansion, does a good job extending the main game’s philosophical storytelling while adding lasting appeal to the game, and more meaningful content. You play as a different protagonist, set out to right a wrong from ELOHIM, engaging in a philosophical discussion with other “Child” characters who had passed the trials yet been imprisoned by ELOHIM out of fear of death. Thus, this expansion expands on ELOHIM’s character and also helps set future expectations for the sequel. Road to Gehenna is only to be played AFTER finishing the main game with the ending in which you ascend the tower. Not only does The Talos Principle (and Road to Gehenna) live up to its own claims as a philosophical game, it lives up to its glowing praise. Hard to believe that Croteam, a very talented studio and one that serves PC gaming better than most others but with a development experience that includes little more than the Serious Sam franchise (arcade FPS), was able to make one of the best story-driven games and most artistic games of all time. Two of the biggest problems with people are subpar intelligence caused by a lack of logical, rational thinking, and a lack of empathy. The Talos Principle will cure both! Not really, but it is intellectually challenging with its puzzles and its story really helps build character. It is one of the most emotionally hard hitting games by far, games like The Last of Us are nothing in comparison due to their lack of thematic depth and philosophical material. 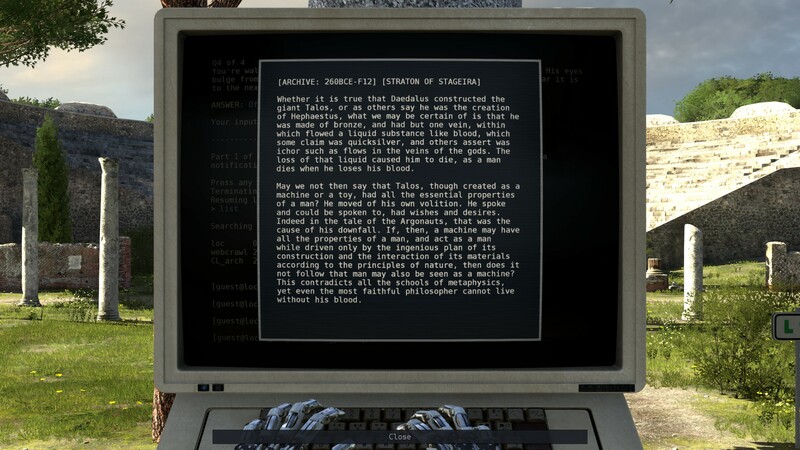 The Talos Principle draws on these attributes to deliver a story that builds empathy and hope, despite the depressing setting the game takes place in. All that is left to say is, bring on the sequel! 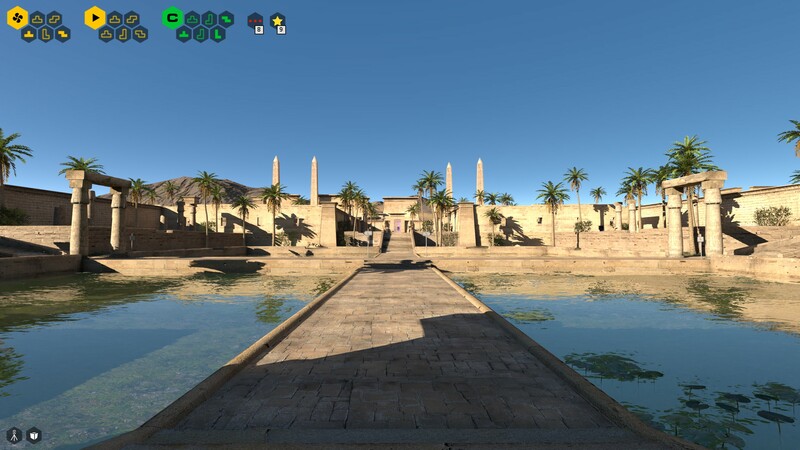 The Talos Principle provides all of the gameplay, HUD, and input customization one can ask for. These are shown in the screenshots below under the spoiler tags. 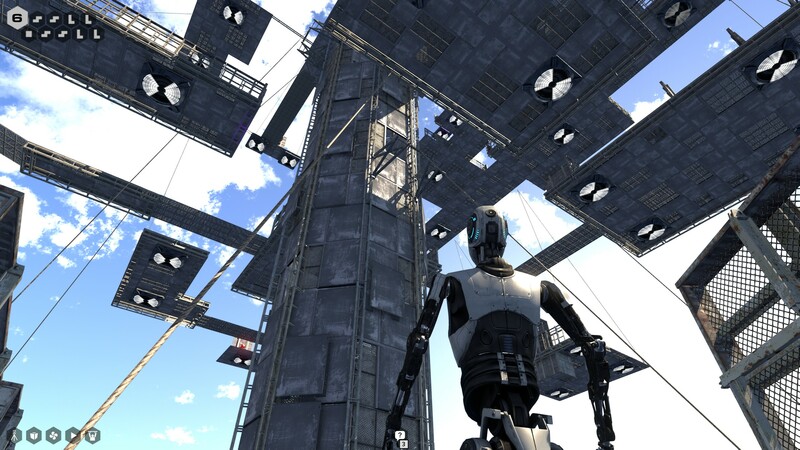 Let’s now go over the basic layout and progression of The Talos Principle. It starts off linear before introducing you to the hub. Said hub is large and has three zones that are hubs in their own right, labeled A, B, and C. Each of these zones have seven portals that lead to seven worlds, and each world consists of 3-6 main puzzles to solve, each one being isolated. So that’s around 95 main puzzles required for any of the three endings, give or take. 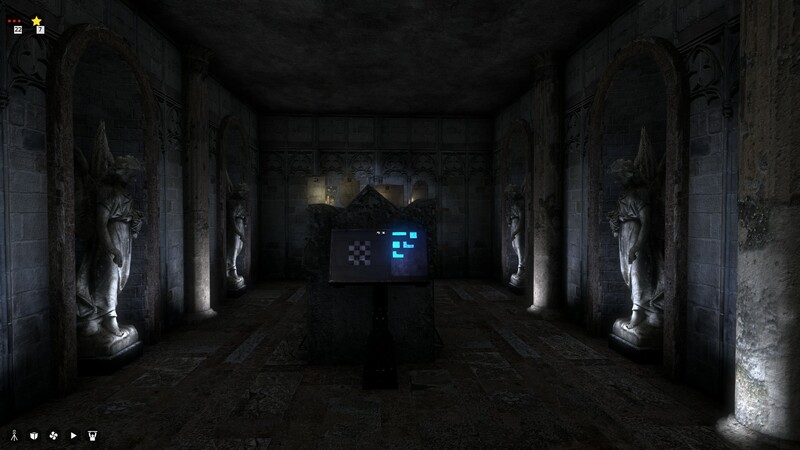 The goal of each main puzzle is to acquire a sigil at the end of it, which takes on the form of a large Tetris piece. Most worlds also include 1-4 gold stars, which are acquired by clever exploration or solving an additional puzzle. Sometimes the puzzles used to acquire stars are not isolated and require using several main puzzles. These stars are often very hard to find. The tower, located in the center of the hub. Zones A, B, and C each include two kinds of bonus worlds: One bonus world behind a door with a Star symbol on it. Each of these requires having acquired ten stars to open. The other kind of bonus world is barred behind wooden planks and requires an axe to get through. Seeing as how said axe is lying around in the open in zone C, these worlds should not be missed. All main puzzles from the seven worlds belonging to each of the three zones must be solved in order to complete the game. 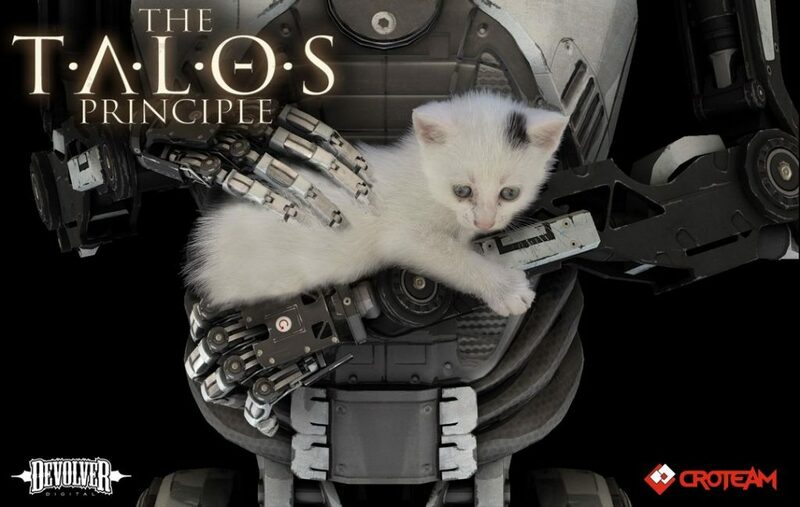 But The Talos Principle has three endings: Two only require solving all main puzzles, while the third requires obtaining thirty stars. If you only get every star from each of the seven worlds, you will end up with 27 stars. Here is a hint: Two more can be found around the tower in the hub, and one can be found on one of the bonus worlds… but we won’t say which. As you can see, the progression of The Talos Principle is very methodical. 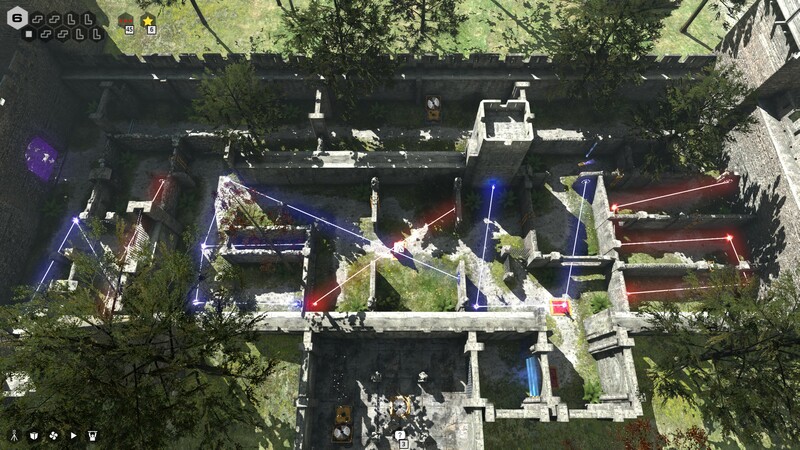 Now let’s look at the concepts behind the puzzles within The Talos Principle. All revolve around logical problem solving, most require thinking outside the box. Almost every puzzle is isolated and must be solved using specific tools operating under specific rules. This is a more common approach to puzzles. The fact that there are several of these “tools” unlocked one at a time, combined with the fact that they gradually become more difficult (with occasional reprieves), keeps them interesting throughout the ~25 hour maximum length of the game. Every puzzle involves shutting down some sort of electrical gates/fences, carving a path in so doing until you reach the destination. The destination is always clear, it is always clear what you have to do unlike Myst and Obduction. The destination/goal is either a sigil to be collected, a special gold star as mentioned earlier. 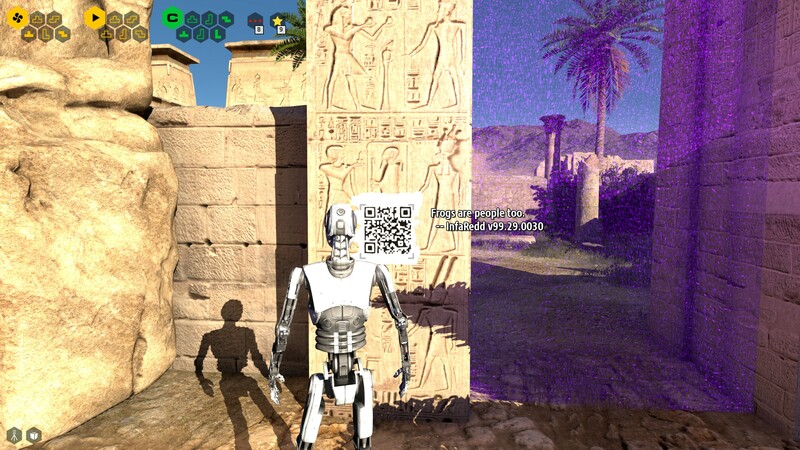 Below is a list of all the “tools” within The Talos Principle, used for solving its puzzles. Jammer: This one is available to players from the beginning. It can jam any electronic device, including the aforementioned fences. 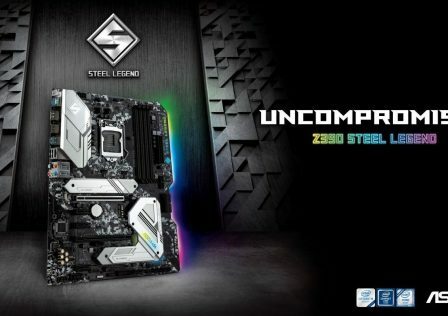 Connector: This is the second tool unlocked. It is used to connect red or blue light transmitters to other connectors or to fences. 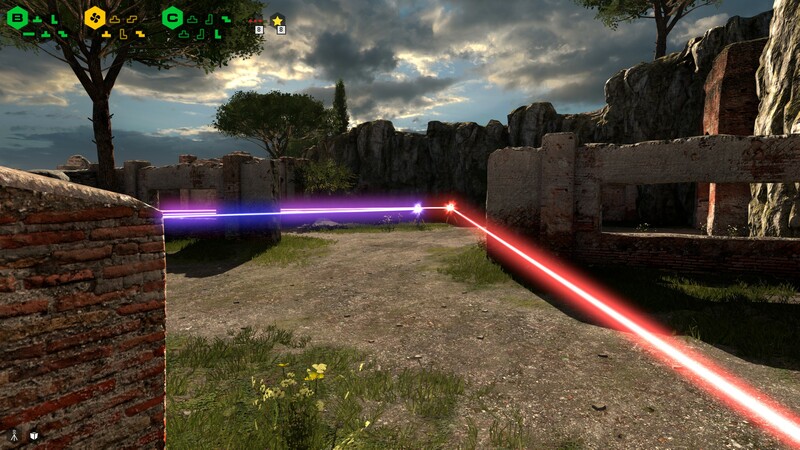 Red and blue beams cannot combine or cross each other. Hexahedron: Also known as a cube or box. No special functions, you can carry it around and jump onto it. Fan: A fan without a power source. 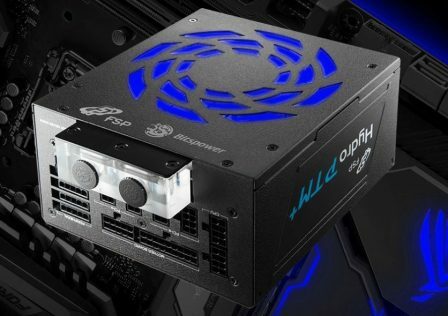 Can be plugged into fan slots in puzzles that include them, to turn on the fan. Fans are of varying velocities, all fairly high and can propel hexahedrons and also the player. Recorder: A static machine. 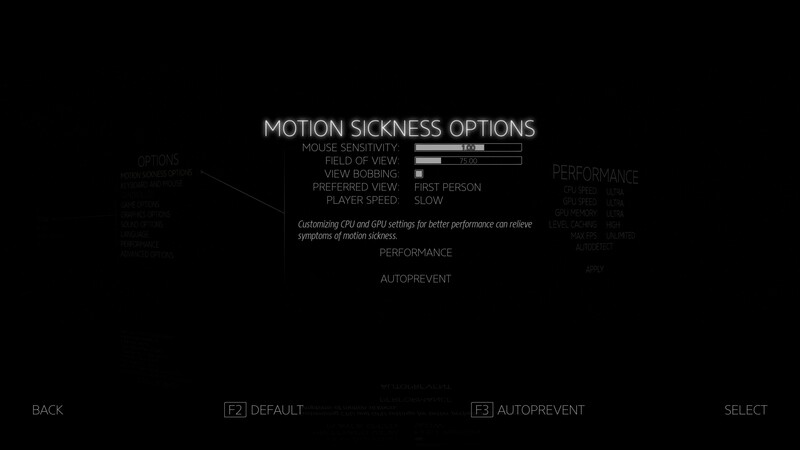 Interacting with it starts a ghost demo recording of the world and the player and player’s actions. Time limit is five minutes although it must be manually ended by interacting with the machine again, thus it can be ended earlier. Once stopped, the recording plays immediately. 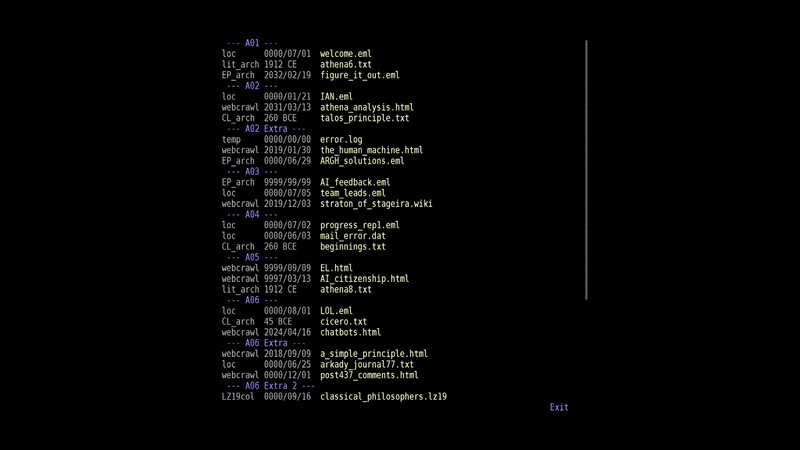 Everything you did during the recording is played in real-time, with the recorded player and puzzle objects/tools manifesting as copies in blue. 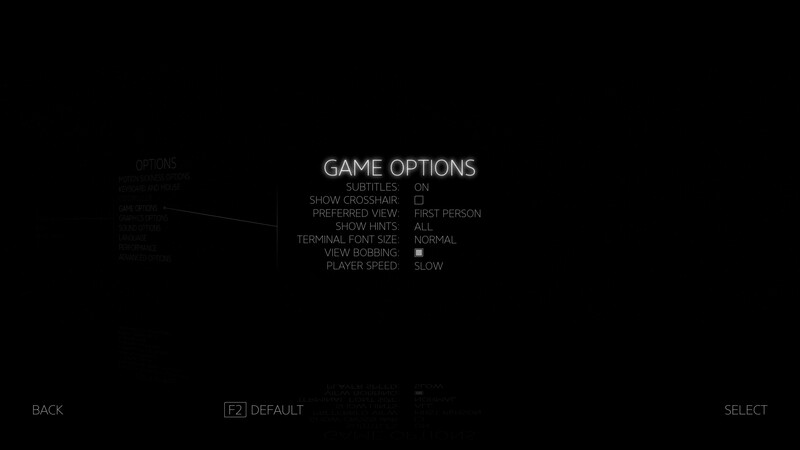 Platform: No special functions, it’s a platform that the player can carry overhead. Thus it is useless on its own and must be used with a Recorder. 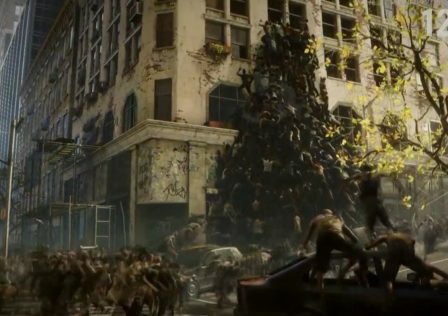 Recorded players wielding a platform can carry any movable object and also the player. Different puzzles have different object/tool requirements, and it is made clear by signs just outside the puzzle and also in the hub. If you lack a required tool you cannot complete that puzzle. Tools are unlocked sequentially, in the order listed although the jammer is unlocked by default (and thus doesn’t appear on any of the signs). You must use these tools together to solve puzzles. The earliest puzzles only use the jammer. 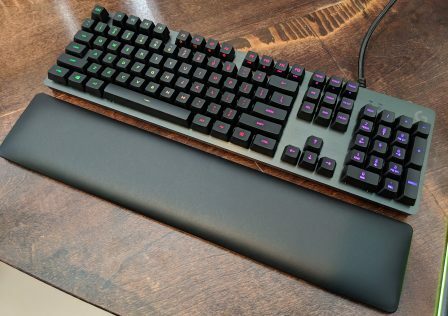 This one is not nearly as complicated as it looks. Others are deceptively complicated, yet entirely logical. Anyone who likes logical problem solving should like most of these puzzles. They start off incredibly easy and eventually get very complicated, especially on the last world (C7). And then the expansion, Road to Gehenna, makes the entire base game including world C7 seem extremely easy. The puzzles are not flexible; there is only one end solution, and rarely are there more than one ways to get there. Again it is clear from the get go what needs to be done to solve a puzzle, they are isolated (save for special ones), and they operate within specific rules almost like a math equation. People into math, programming, and logical puzzles and problem solving should like them. 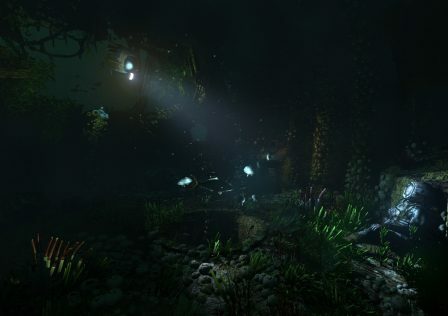 There are even certain tactics that apply to some of the puzzles, such as setting up redundancy with the connectors, or moving all tools from the start of the puzzle to the end area without leaving any behind. These tactics don’t apply to all puzzles thankfully, but several on every world. But there are exceptions. A few puzzles are very simple in logical problem solving, and instead rely more on perfect timing. More specifically, they involve several floating proximity mines moving around in a fixed path. These few annoying puzzles involve running in between them without getting blown up. Simple, but they are challenging to the point where they are nothing more than frustrating. One bonus world includes nothing but these puzzles. 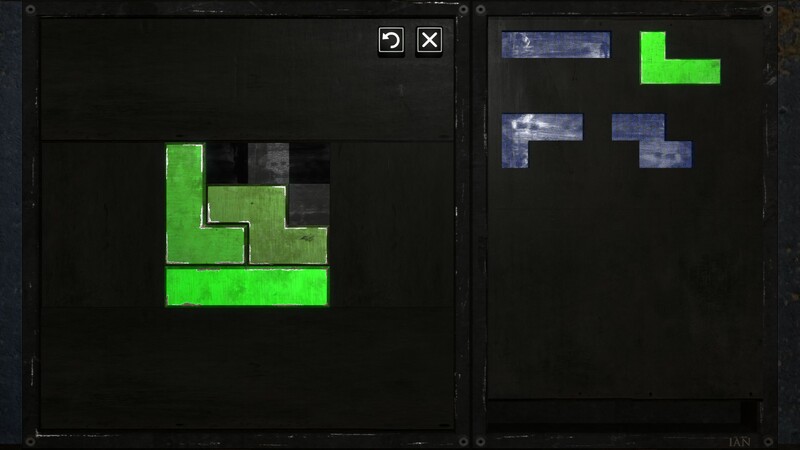 Another aspect of gameplay is solving these little puzzles that resemble a Tetris game. It is not a Tetris game however, it’s just a puzzle and all the pieces are used like regular puzzle pieces. The goal is simple; integrate all pieces into the frame. These pieces are the sigils you collect from the main puzzles, and these little puzzles are used to open doors. Some may ask why they resemble Tetris pieces, but rest assured as this is actually thoughtfully incorporated into its story. Then there are the Easter eggs. People on your Steam friend’s list who have played The Talos Principle will, in some way, shape, or form, make an appearance in the game. It’s not an entirely pointless Easter egg either, it makes some sense. The game spawns paint buckets randomly. You can pick them up and paint a message. Here is a message left by one of my friends. Because they’re randomly placed, you and your friends probably won’t be able to leave messages on the same levels, unless you have a very large amount of friends who play The Talos Principle (and if you do, you have good friends!). There are also blatant, hidden Easter eggs like a cameo from Fork Parker. So that’s the gameplay in a nutshell. 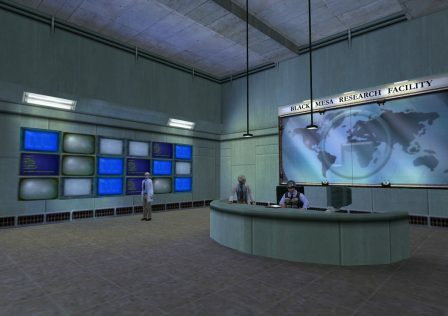 Every world has usable computers, and each contain various notes, journals, saved text chats, and snippets from scholarly articles and works of fiction. References to other works of literature that share some thematic similarities. 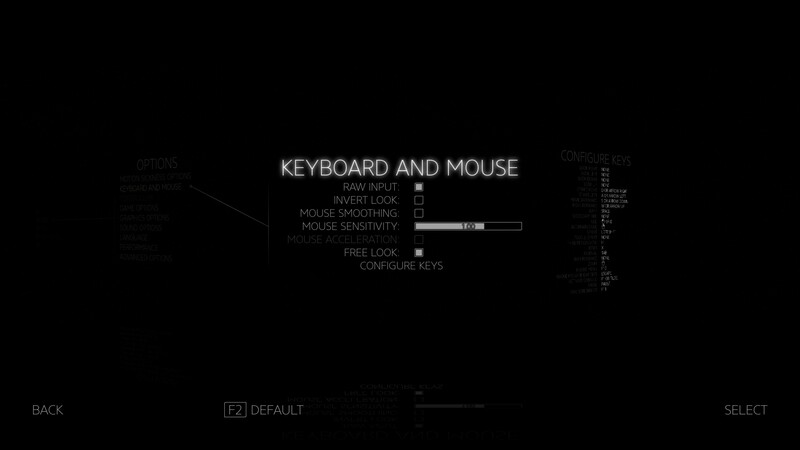 All of these of course add to the story and world, and build on the plot to answer the begging question of what on earth happened and why are you playing as a robot solving puzzles while being watched/guided by some voice coming from nowhere. 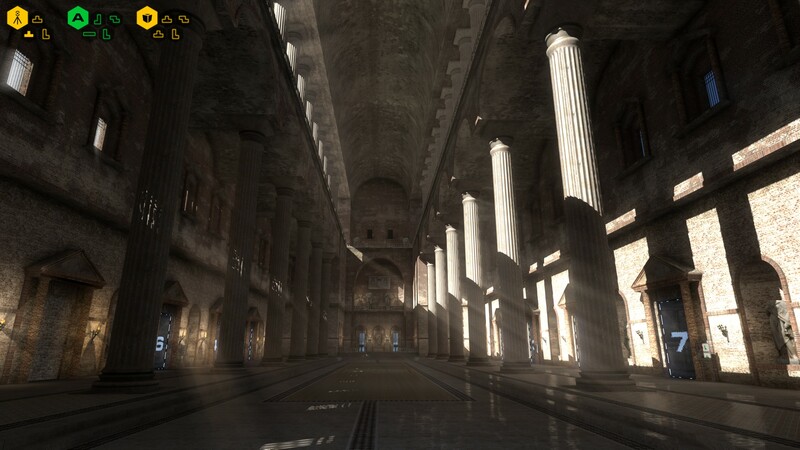 As far as graphics configuration goes, The Talos Principle is truly as good as it gets. Spoiler tags included because there are many screenshots. 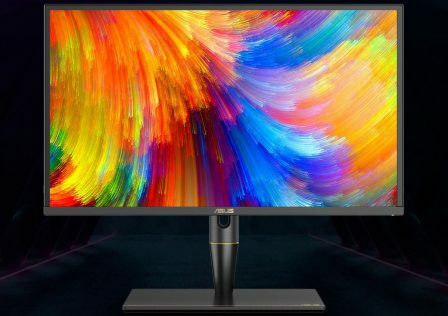 If one were to nitpick, the frame rate limiter should have more options, up to 240 preferably as 240 Hz monitors are on the horizon. 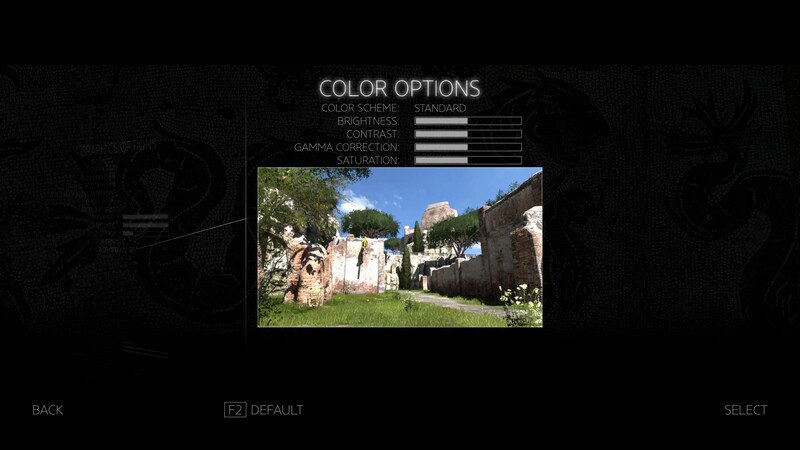 But seriously, who can complain about the configuration ability of The Talos Principle? 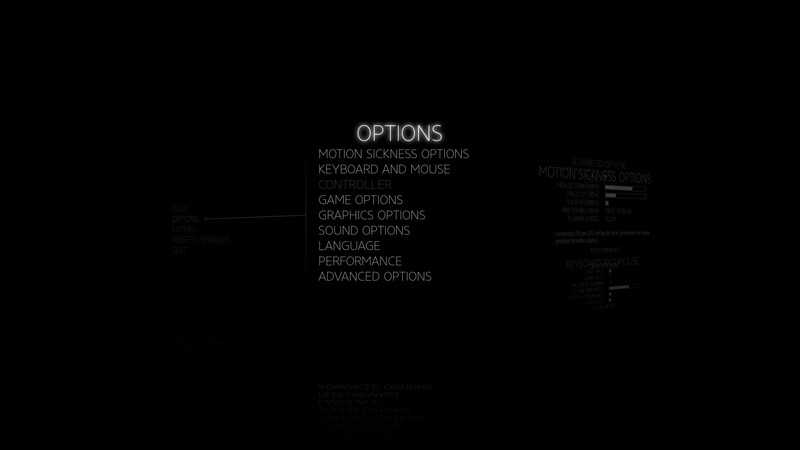 UI scaling, FOV slider, first person + two third person camera options, the most graphics options ever, four graphics APIs (DX9, DX11, OpenGL 2.1, Vulkan), two audio APIs, you name it. 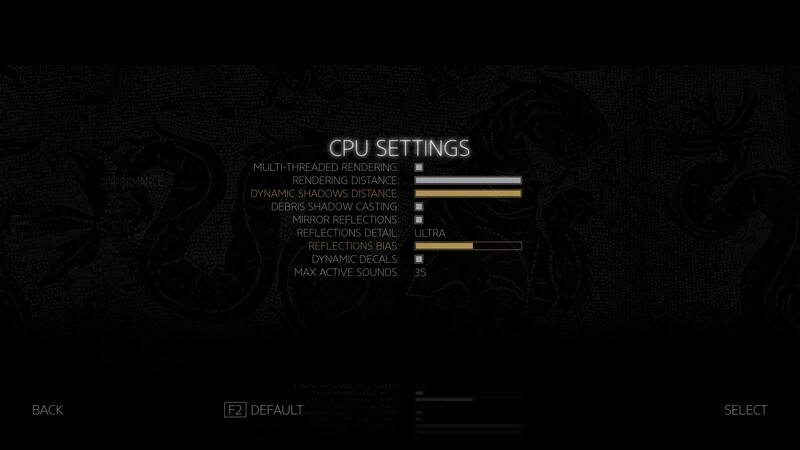 Note that Ultra graphics preset is not the highest settings. 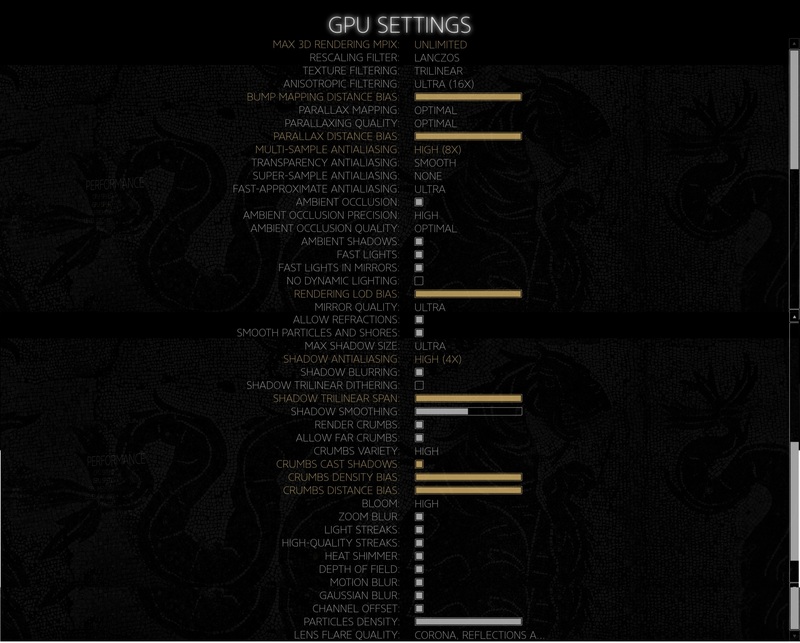 CPU and GPU settings must be customized in order to max out the game’s graphics settings. 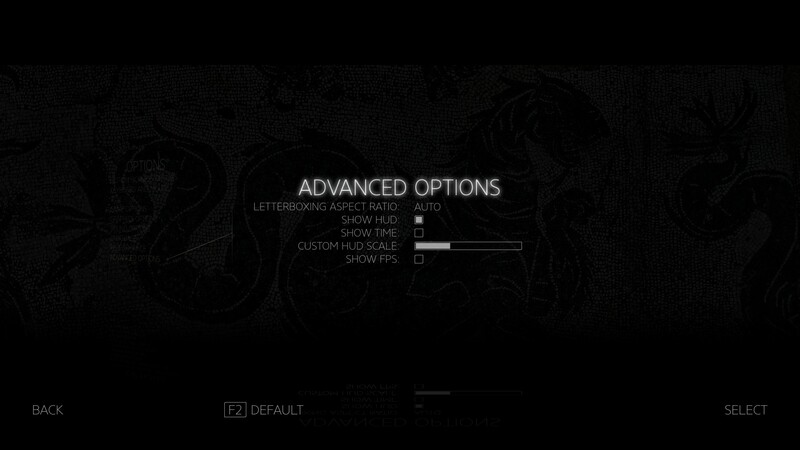 This is mostly due to supersampling, no preset should enable that. The other settings not maxed out by Ultra (shadow anti-aliasing, parallax mapping, ambient occlusion) actually seem well optimized and run well compared to the default settings on Ultra preset. They look visibly better too, albeit it isn’t a night and day difference. 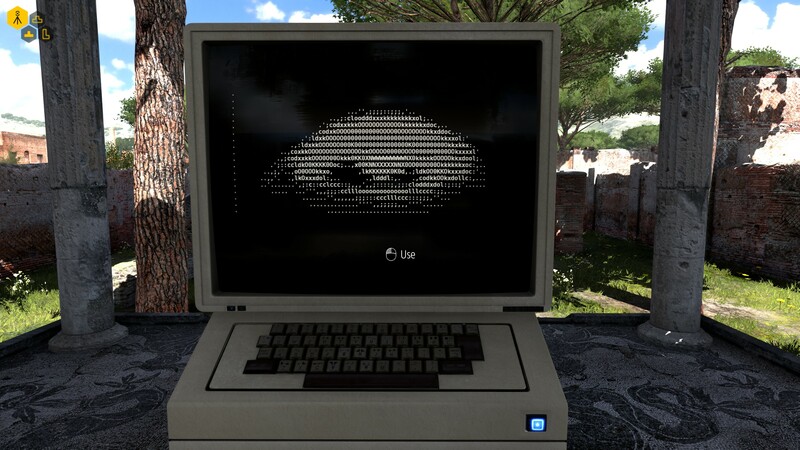 At the end of the day, like other Croteam games The Talos Principle is one of the most scalable games and can run on such a wide array of system configurations dating back to 2006 hardware and maybe even earlier! 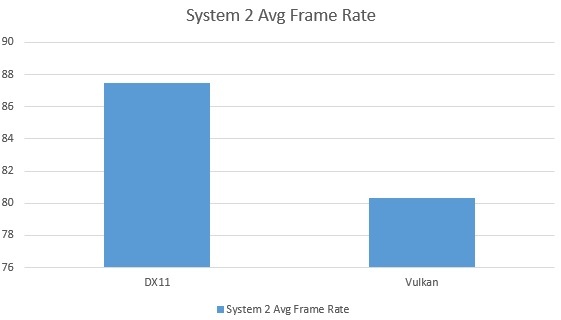 Vulkan implementation is obviously very incomplete and does not perform to optimal levels, and is unstable. It does say “BETA” after all thus it is a work in progress still, even to this day. 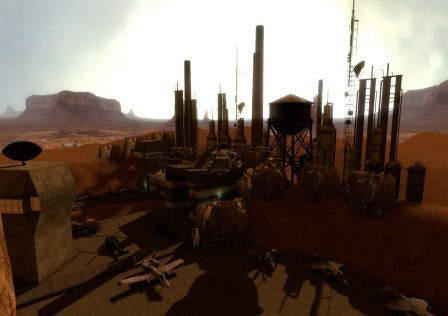 Croteam hardly abandons their games, even Serious Sam HD: The Second Encounter received a DLC after Serious Sam 3 had already come out. Croteam releases some of the absolute most polished games in the industry today, and continually improves them over time. 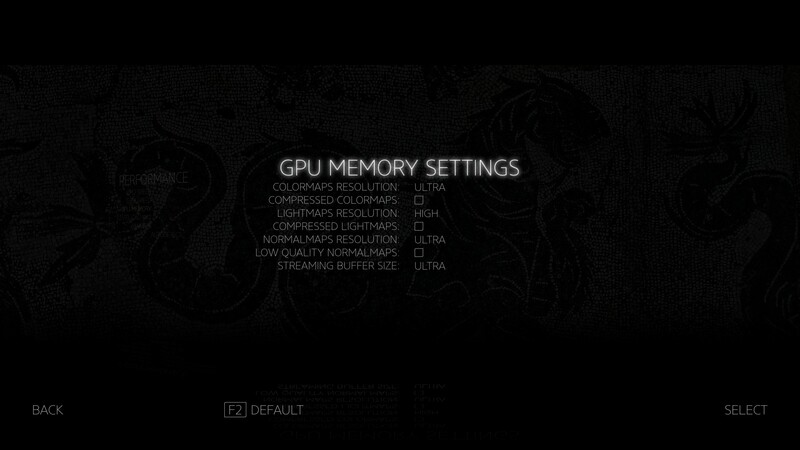 OpenGL version is 2.1, so it’s really meant for very old GPUs as The Talos Principle does recognize graphics cards dating back to GeForce 6800. 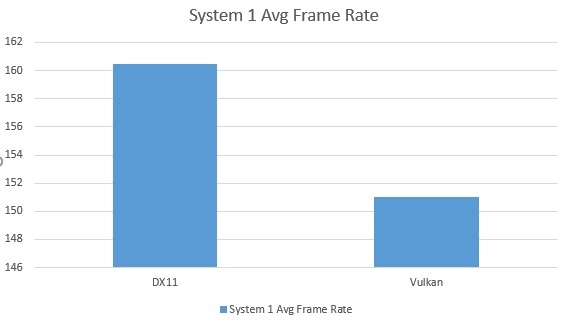 It will look much worse than DX11 and Vulkan, while DX11 and Vulkan of course have the same graphics. 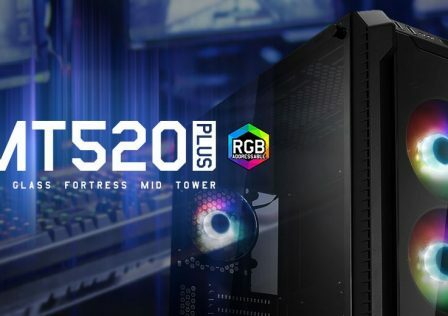 The purpose of these benchmarks is just to show the performance difference of these two APIs on two very different systems, one with an Intel Core i7 CPU and modern NVIDIA graphics cards and the other with an Intel Core i5 CPU and AMD GCN graphics card. We did not test DX9 and will not include our OpenGL results as they are not relevant for the test systems we used. Multithread/multicore usage is far from the best, but nonetheless every setting seems well optimized even when pushed to the max. Even 2x supersampling is somewhat feasible on my system although it doesn’t make a huge visual difference. The Talos Principle may be slightly outdated with regards to shaders, but this actually has some benefit; less shader aliasing. 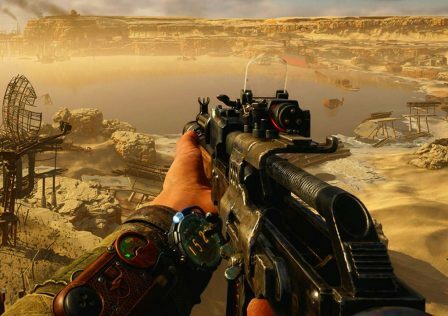 MSAA + FXAA will get rid of the vast majority of visible aliasing at 2560 x 1440 (and it will look decent enough for most people at 1080p), and 4x MSAA + FXAA has very little performance hit on modern systems (8x MSAA has a rather severe performance hit and is only for high end systems). Its SSAA implementation will get rid of the rest, at least if set to 4x (2x isn’t very helpful). Since this game has so many APIs, one might assume this is a sparse grid supersampling implementation, but I can’t say. 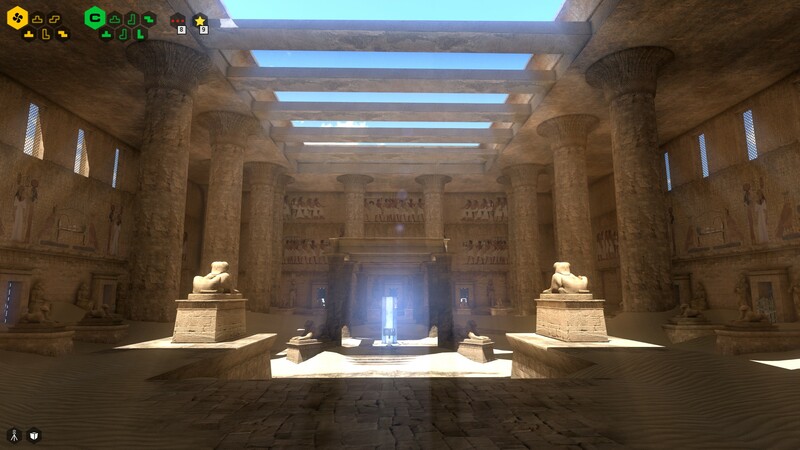 Its lighting system shows more attention to detail than most games in how it behaves. 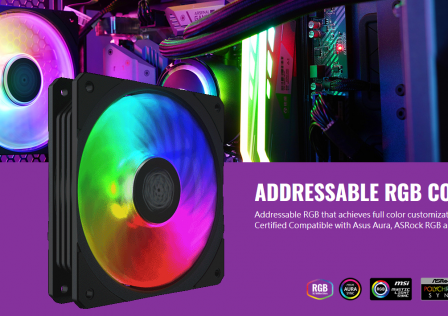 It’s like visible light is actually made up of the color spectrum like in real life, as rainbow effects can be formed dynamically and colors can be seen combining realistically. Subsurface scattering is also present. 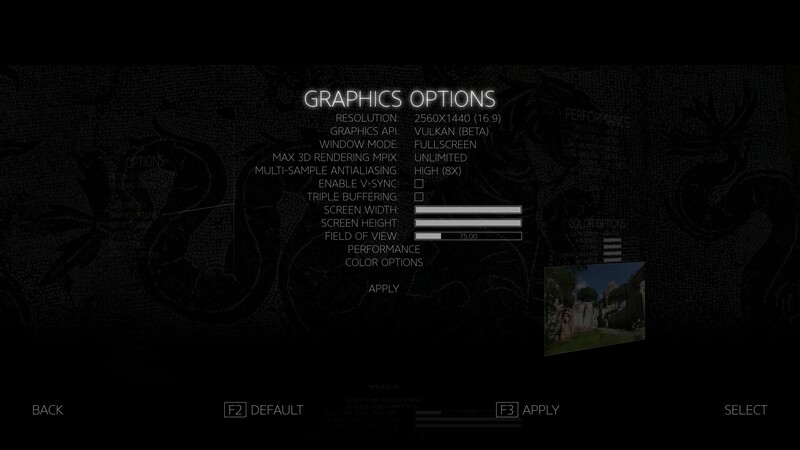 Texture quality is good and parallax mapping is perhaps the best in the world, tied with Serious Sam 3: BFE. 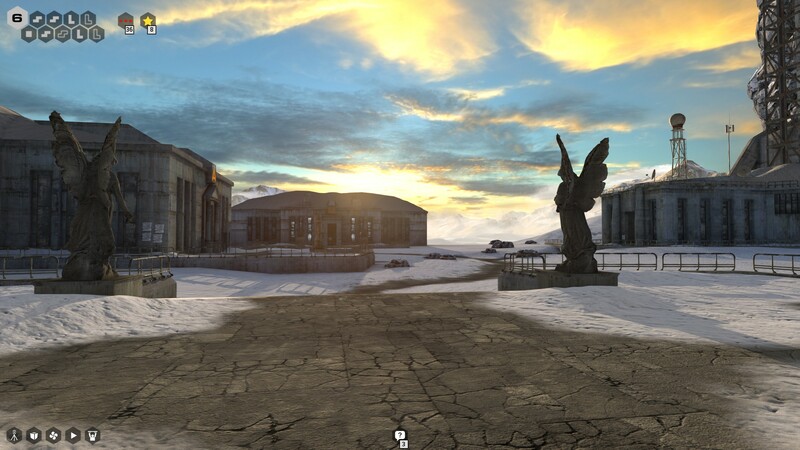 In fact, this game uses some amount of photogrammetry. View distance and texture filtering are simply excellent. Distant objects tend to lose no detail. Shadow quality is lacking even with maximum shadow anti-aliasing. 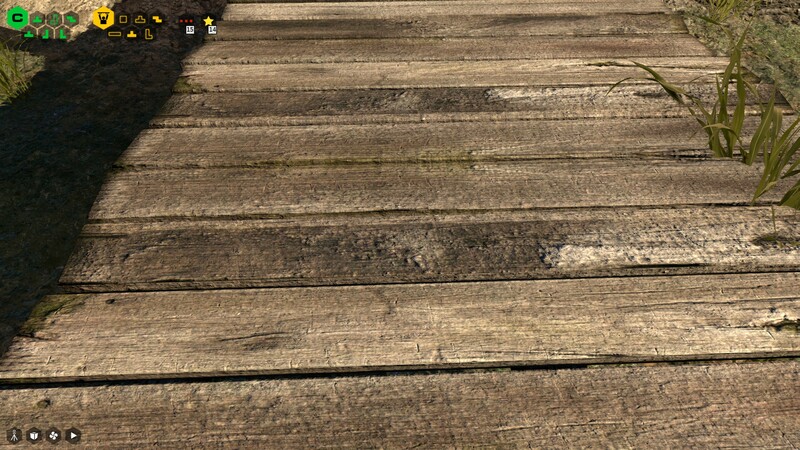 There seems to be no contact hardening shadows in play as distant shadows just look awful and pixellated. 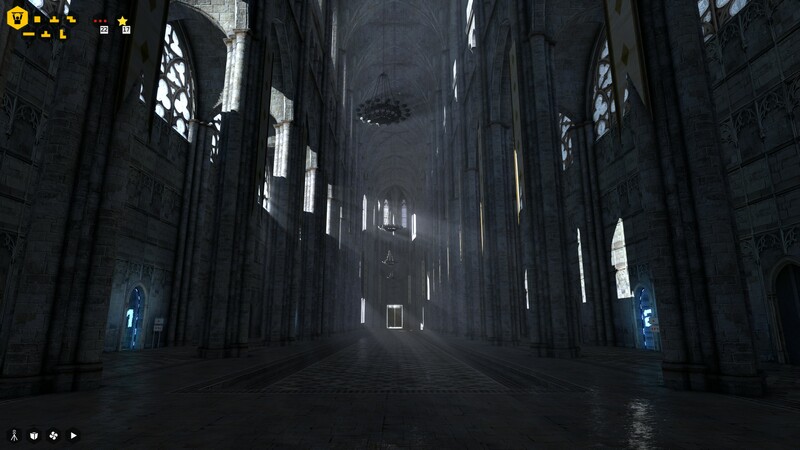 But other than this The Talos Principle’s visual quality is either strong or average. General model quality is very good and detailed especially for the time, although it has no fancy materials processing effects. 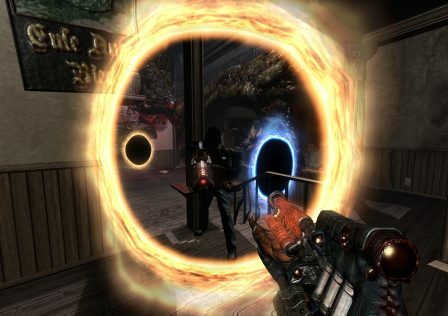 Animations are not unlike Serious Sam, so they have an arcade game appearance. There is some added attention to detail however, such as how rotating in place actually has proper animations with adequate sounds of you moving your feet. There is no first person mesh though. As for sound, this game’s OpenAL implementation is worthless. 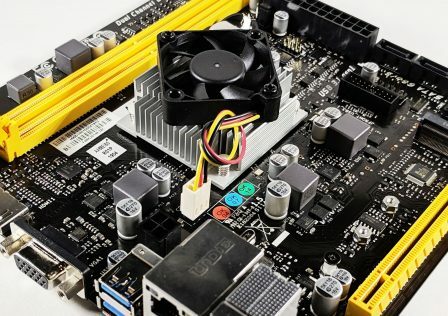 It is unfortunate that The Talos Principle includes both the best graphics API (Vulkan) and best audio API (OpenAL), yet both are not worth using. No doubt Vulkan will eventually be the best choice at least for future Croteam titles, but OpenAL as it stands has only stereo support. No amount of DLL replacements and configuration file tweaking will change that, and I have tried OpenAL Soft (works, but stereo only), Rapture3D (doesn’t work), and hardware acceleration (not available). XAudio2 however works fine and has up to 7.1 channel support. I play the game on a 5.1 surround system, and The Talos Principle uses all channels well, although it’s nothing extraordinary. As a huge fan of extraordinary sound, I hope dearly that Croteam improves the OpenAL implementation. We all need EFX and OpenAL HRTF in our lives. The voice acting is all excellent, noting that there are only two voiced characters. The soundtrack is one of the finest I have heard, so I definitely recommend purchasing it. I would say the “False God” track stands out the most, as it captures so perfectly the gravity of your actions during that sequence of the game. This game has such a powerful story and the soundtrack compliments it perfectly. 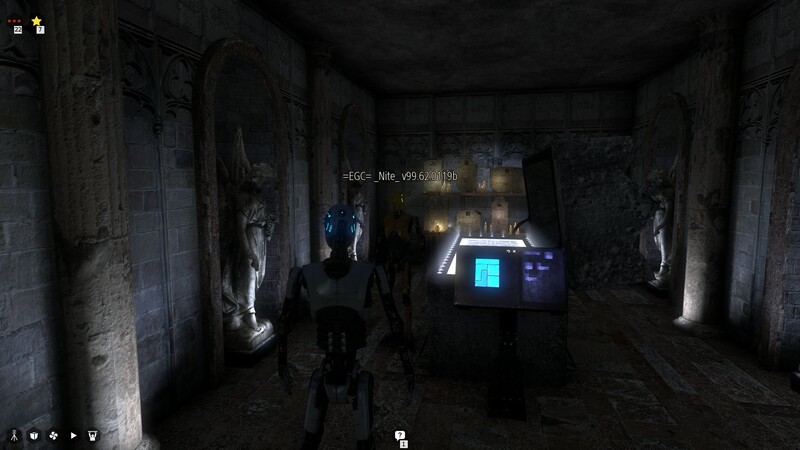 Video games, especially as an art form and storytelling medium, don’t really get any better than The Talos Principle. That’s not to say it’s “the best” but it is certainly one of them. Smart gameplay, one of the most layered and complex stories with some of the finest writing quality, excellent use of environmental art design and tying this with the gameplay and storytelling. 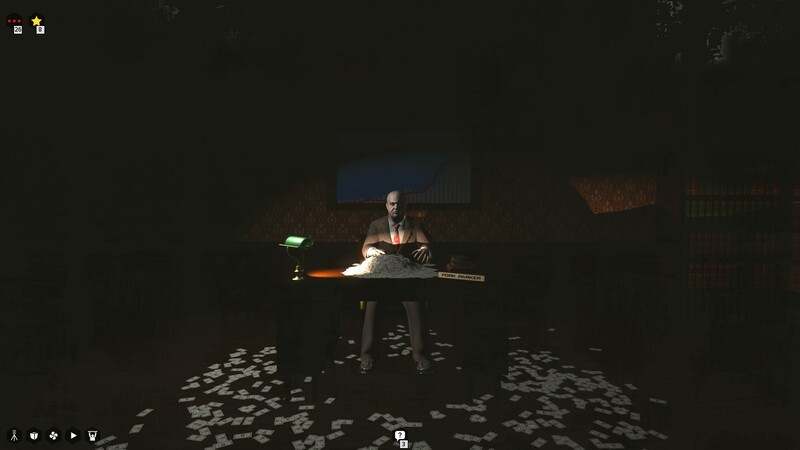 The story is told in a way unique to gaming, taking advantage of the medium to make it so much more moving and clever. Because of its story and the fact that gameplay only demands logical problem solving, it’s a game I can easily recommend to any gamer and even people who are not gamers.